Are you a professional broker? Special offers for professional dealers. An unlimited number of advertisements, helpful tools and much more. Create your ad within minutes. It's quick and easy. Your ad will be posted online in real time. Represent your boat with up to 100 photos. We're here for you 365 days a year with our ongoing email support. View visitor statistics for your ad. Manage your ads around the clock through your personal account. Your ad is automatically translated into more than 10 languages. * We offer lower price options for sales less than CHF 5.000. There are lots of ways to make your ad stand out from the crowd with our selling options on boat24.ch. The Highlight option emphasizes your ad with an eye-catching coloured band. 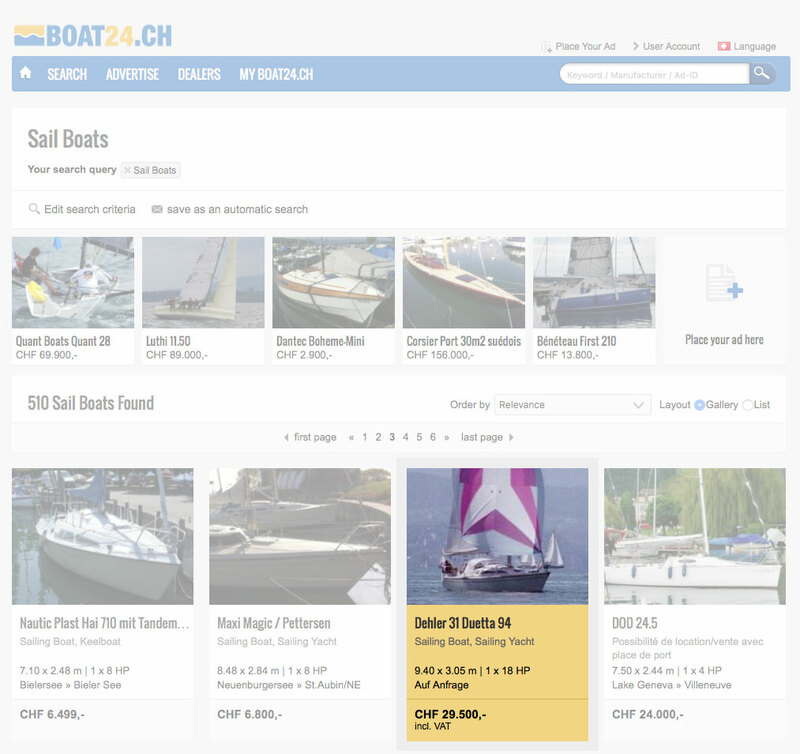 Your ad is displayed in turns on the front page of boat24.ch and at Top Offers.